R�mi Gaillard achieved internet fame with his hit YouTube Mario Kart video. 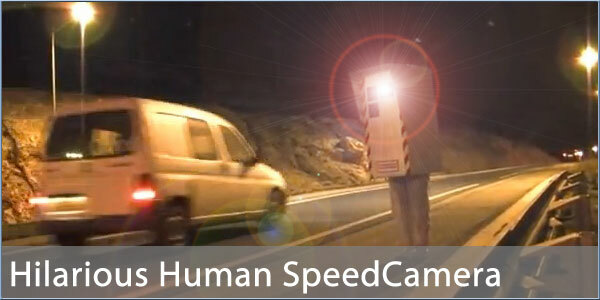 Now he's released another great sketch which sees him dressed as a French Radar speed camera. It's hilariously silly and well worth a watch so i shall say no more. Take a look at it here. For those into cycling there is another funny clip by this guy here. I'm still laughing about the Speed camera clip! all i can say that is some funny $$t PMSL pity he got busted in the end.